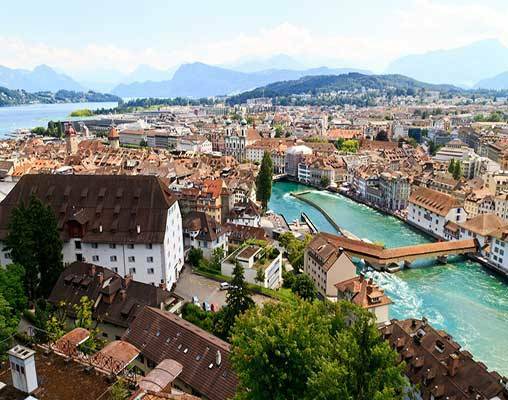 Enjoy a free rail upgrade on Grand Train Tour of Switzerland when booked by June 15, 2019. Use promo code FREESWITZ. Offer valid on new bookings made by June 15, 2019 for April, May and June 2019 depatrtures. Blackout dates apply. Offers are non-transferable, have no cash value, subject to availability and may be withdrawn at any time. Additional terms and conditions may apply. 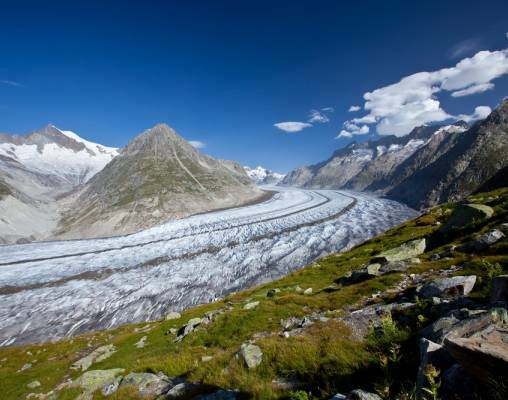 Discover the diverse regions of Switzerland on this 12-day vacation. 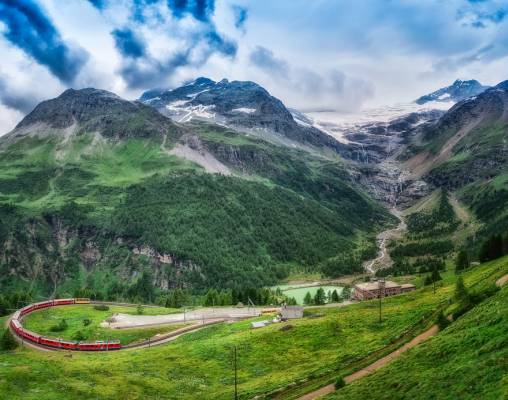 This trip, which takes you on a variety of Swiss rail lines, is a train lover's dream. Filled with twists and turns along rivers and mountainsides, you can relax and enjoy stunning views only available via rail. You'll view stunning landscapes such as the Bernese Oberland, Simmen Valley, Lake Geneva, the Rhine Gorge and, of course, the Matterhorn. As you travel from city to city, there is plenty of free time to explore each area and immerse yourself in Swiss culture. Make your way to Zurich, Switzerland using your preferred airline for the overnight flight. (Flights not included in tour cost). Arrive in Zurich and settle into your hotel. Your day is free to discover the world-famous shopping mile Bahnhofstrasse or stroll along the banks of Lake Zurich. Overnight Zurich. 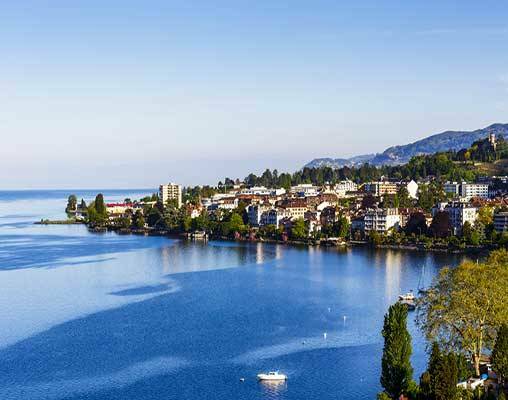 Today board the GoldenPass Panoramic for a beautiful trip to Lucerne, which is filled with medieval architecture. The train takes you over the Brunig pass into the Bernese Oberland, where it winds along the lovely Lake Brienz. After a short journey, you arrive in Grindelwald or Wengen. Grindelwald: The Eiger village of Grindelwald is embedded in a welcoming and green hollow, surrounded by a commanding mountainscape with the majestic view of Eiger north face and the Wetterhorn. Wengen: This holiday resort area lies on a wind-protected sun terrace at the foot of the Jungfrau, 400 meters above the Lauterbrunnen Valley at an altitude of 1274m. The tradition-imbued, car-free holiday resort offers family-friendly activities and plenty of hiking and biking opportunities. 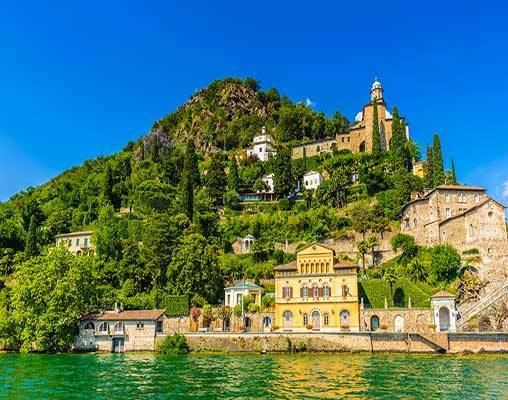 Today you have a chance to journey up to Monte Bre, the sunniest mountain in Switzerland, or take a boat ride to the picturesque town of Gandria. On the excursion to Monte Bre, ride a cable car to the summit at 933 meters and admire the magnificent Alpine foothills from a sunlit terrace overlooking Lake Lugano. 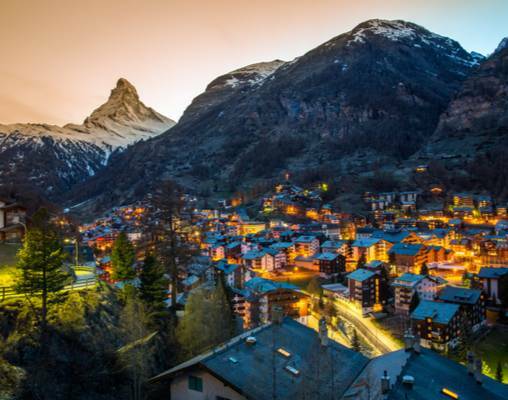 Moderate hotels commonly used are the Hotel Adler, Zurich, Hotel Alpenrose Wengen, Tralala Hotel, Montreux, Hotel Adonis, Zermatt, Hotel Post, Chur, Hotel Colorado, Lugano, and Hotel Alpina, Lucerne. Hotels are subject to availability, substitutes will be of similar quality and amenities. Superior hotels commonly used are the Glockenhof Zurich, Sunstar Alpine Hotel Wengen, Hotel Eden Palace au Lac, Montreux, Schlosshotel Life & Style, Zermatt, Romantik Hotel Stern, Chur, Hotel De la Paix, Lugano and Hotel Des Balances, Lucerne. Hotels are subject to availability, substitutes will be of similar quality and amenities. This train winds its way through the Swiss Alps, travelling through 91 tunnels, and crossing 291 bridges. Relax and enjoy the view through the panoramic windows at your seat, or take in a drink at the bar. You'll have views of snow-capped mountains, canyons, narrow valleys, and rushing waters. Depart Switzerland and cross the border into northern Italy. The route passes through a variety of terrain including orchards, chestnut trees and vineyards on its way to Tirano. Cross the famous Brusio Circular Viaduct on this narrow-gauge train that begins in the mountains and winds down to street level. Pass through the town of Tirano as you reach the city's station. The train includes refreshments and the commentary of a tour guide. Previously named the Wilhelm Tell Express, the Gotthard Panorama Express is a wonderful piece of railway engineering with many spiral loops, bridges and tunnels. The journey includes travel by train and boat offering very diverse scenery with snowcapped mountains and palm trees along the way. +Additional departures are available on request, please speak with your Rail Travel Specialist for more details. Click here to view testimonials for Grand Train Tour of Switzerland. 24th April 2019 $2,330 Please call for availability. 25th April 2019 $2,330 Please call for availability. 1st May 2019 $2,559 Please call for availability. 24th April 2019 $2,780 Please call for availability. 25th April 2019 $2,780 Please call for availability. 1st May 2019 $2,980 Please call for availability. Enter your details below if you would like to be notified when 2021 dates and prices are available for Grand Train Tour of Switzerland. Prices are correct at the time of publication, however are subject to change at time of booking. *April, May, & October departures will overnight in Grindelwald. June – September departures will overnight in Wengen. 28 June - 14 July 2020 will overnight in Lausanne during the Montreux Jazz Festival.